Our clinic is conveniently located in the Itaewon Shopping Center area across from the fire station. 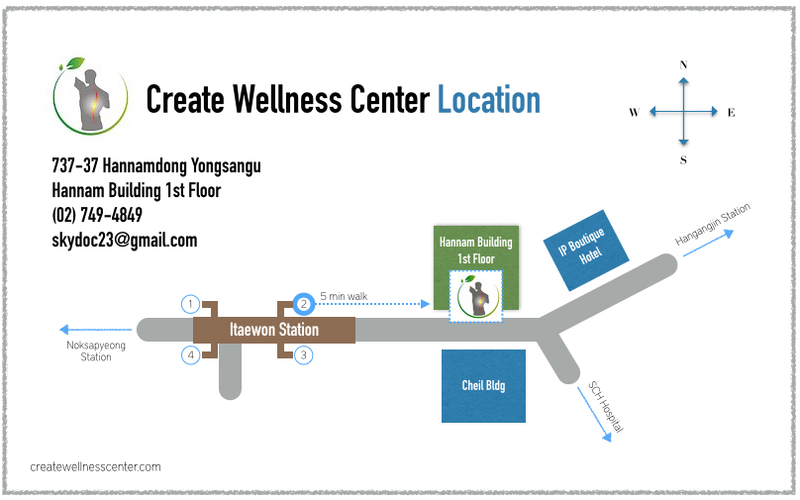 Our office is on the 1st Floor of the green “Hannam Building” (International Clinic and Seoul Global Center Building). There is a “7-11” convenience store in the front. Driving Directions: From the Hannam bridge direction take a left at the Intersection past the “Volvo Building” This will take you into the Itaewon shopping district. Our building will be on the right side right after passing the Itaewon Hotel. If you are coming from the Yongsan Army base direction, take the first left at the light after the Hamilton Hotel. If you are coming from the Hannam Bridge direction, take a right at the first light after passing our building. There is an LG gas station at the intersection you must turn on. Drive up the street . You will see a “Swiss Chalet” restaurant, which you will pass and take a right. Then take another right at the second or third intersection which will lead you down to a 3 way intersection at which you will take a left. You will then see a huge sign for the “International Clinic”. Take the elevator down to the 1st floor. Parking: There is paid parking at Hana Bank or behind the building. Subway: Take line #6 and get off of Itaewon Station and exit #2. Walk straight for 7 minutes and you will see the “7-11” convenient store on the first floor or our green building. Bus #110 drops you off right in front of the clinic (Fire Station stop). 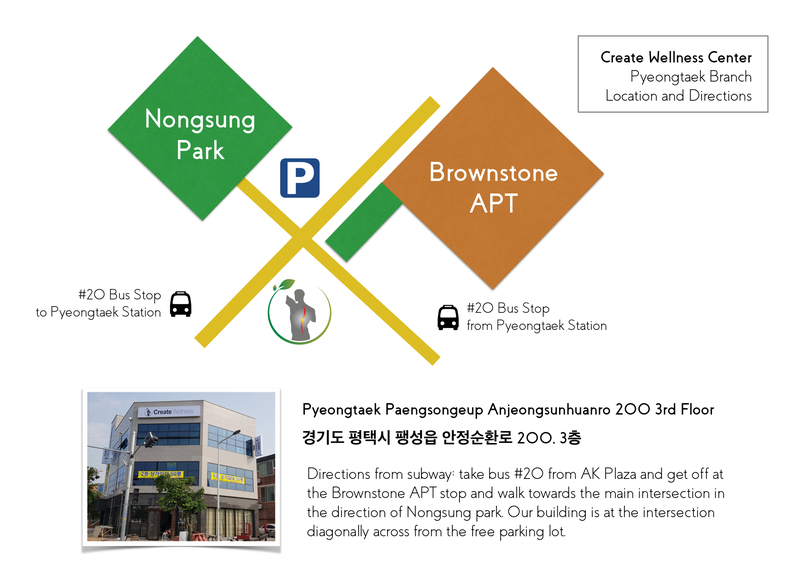 Our new Pyeongtaek location is 안정순환로 200, Anjungsunhuanro 200, 3rd floor of the TJ building which is next to Brownstone apartments, Attractive coffee, Dewdrop Coffee, and Nongsung Park, diagonally across from the free parking lot.